If you could repeat one year of your life, what would you do differently? 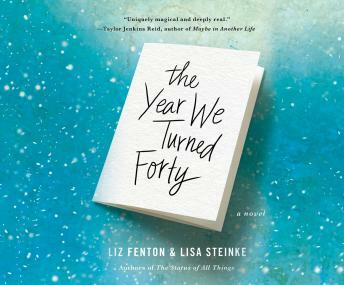 This heartwarming and hilarious novel from the authors of The Status of All Things and Your Perfect Life features three best friends who get the chance to return to the year they turned forty, the year that altered all of their lives in ways big and small-and also get the opportunity to change their future. But it doesn't take long for all three women to learn that re-living a life and making different decisions only leads to new problems and consequences-and that the mistakes they made may, in fact, have been the best choices of all. Great book, very relatable. Just enough drama without being depressing. Easy to listen to narration.